Shubham Banerjee, the 13-year old CEO of the Braille printer maker Braigo Labs, had no idea what Braille was until last year. As he searched the web, Banerjee discovered the high cost of Braille printers, which usually cost upwards of $US2,000. He also learned more about Braille, the tactile writing system used by the visually impaired. 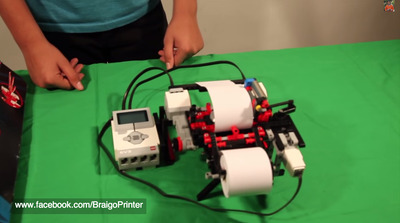 Built out of Lego’s Mindstorms EV3 blocks and little pieces from Home Depot (Braigo stands for Braille and Lego), Braigo Lab’s printer turned out to function quite well. It earned Banerjee a lot of recognition too, including The Tech Awards 2014 and an invitation to the White House Maker Faire, an event that awards student entrepreneurs and innovators. But most importantly, Banerjee believes it could solve a decades-long problem that’s been holding back so many visually impaired people around the world: the high cost of Braille printers. 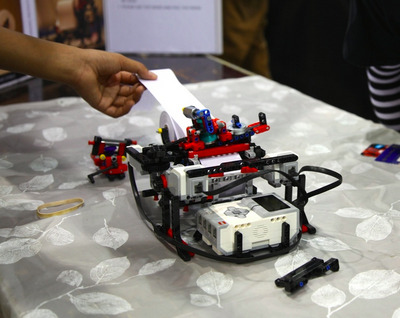 Banerjee says his printer could significantly cut down the price of Braille printers to less than $US500. According to his website, there are 285 million visually impaired people worldwide, and 90% of them live in developing countries. It’s not easy to drop a couple grand on a printer, even by a developed country’s standards. “I want to tell (big company manufacturers) to stop taking advantage of blind people,” he says. Impressed by his product and vision, Intel came calling last September and told him it would invest in his company. And last week, the investment was made official at the Intel Capital Global Summit, when Braigo Labs was mentioned as one of the 16 tech startups Intel’s investing in this year. Although the exact amount of the investment was not disclosed, it’s reported to be a few hundred thousand dollars. 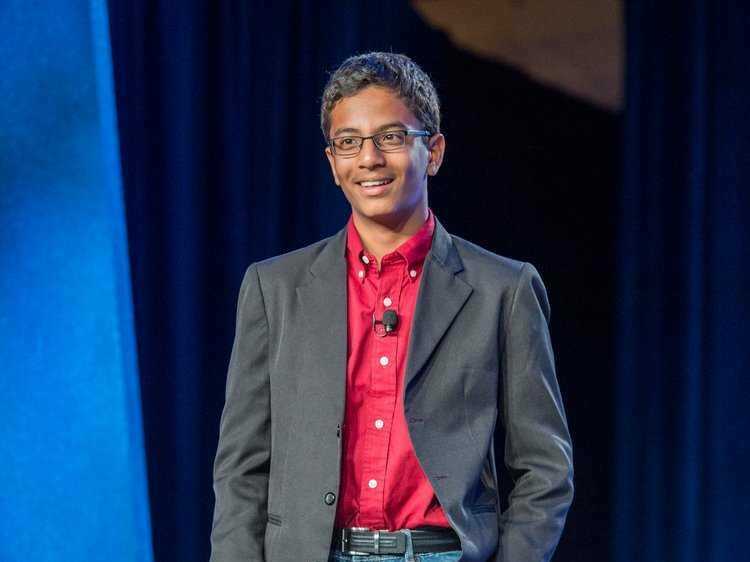 That makes Banerjee the youngest tech entrepreneur ever funded by a VC firm. “I didn’t think such a big company would ever invest in my company. 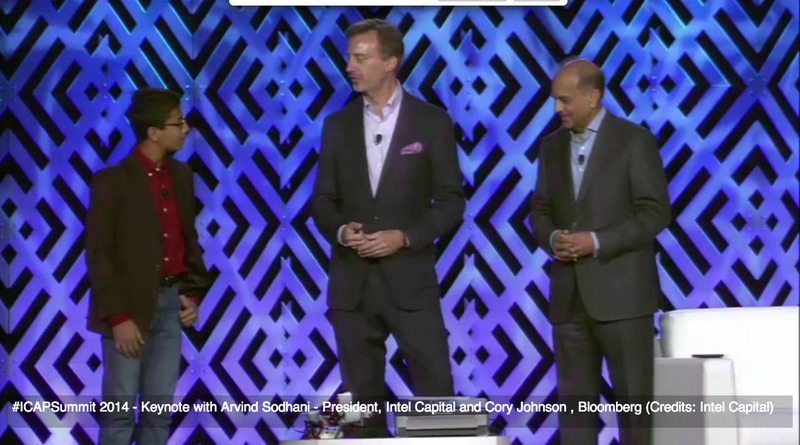 That was pretty amazing,” Banerjee says. 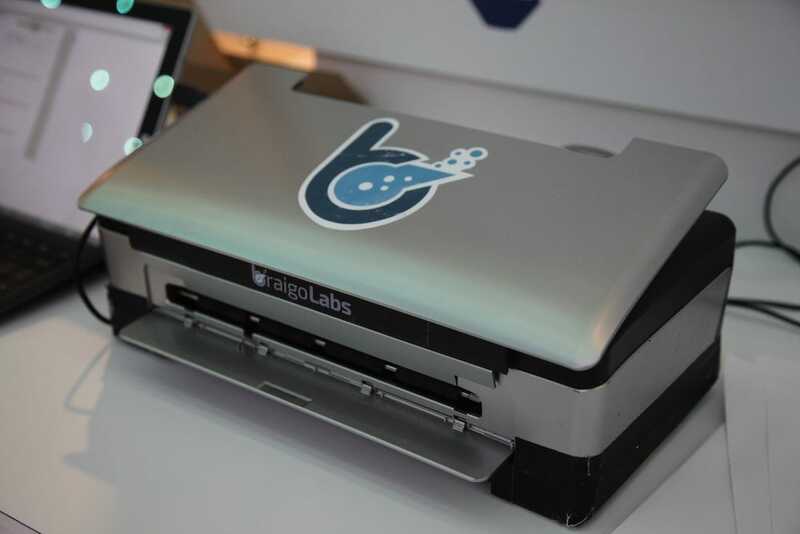 With Intel’s funding, Braigo Labs plans to build a new prototype that more resembles a regular printer, and bring it to market by next year. Banerjee says he has no plans to expand into other product categories at this point, but Braille printers seem to be just a part of a bigger dream he has in mind. 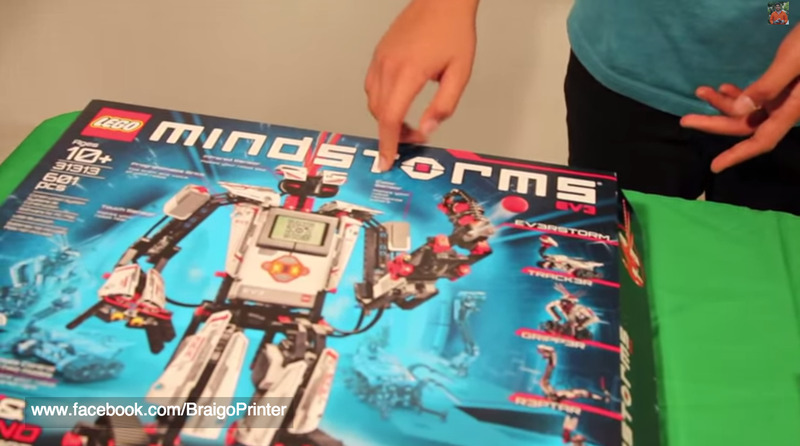 This is the Lego Mindstorm EV3 kit he used to build it. 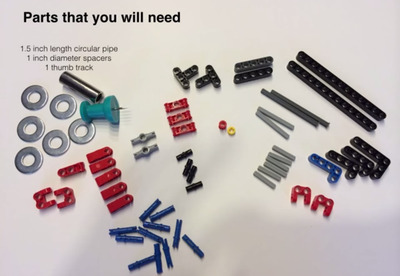 These are some of the pieces he used. He also bought some small pieces from Home Depot to build it. This is the part that holds the main processor, or the “brain,” of the product. It comes with the Lego Mindstorm. 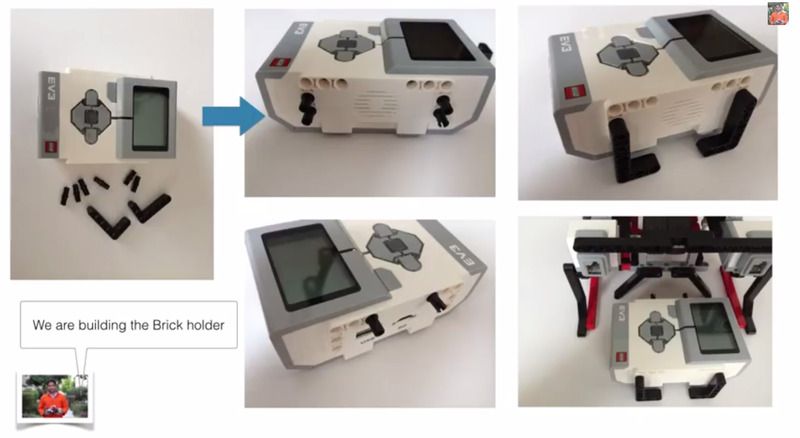 This is what the first prototype looks like. 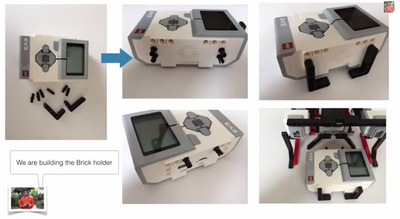 This is the second prototype, which more resembles a regular printer. The printer that goes into mass production will look more like this one. 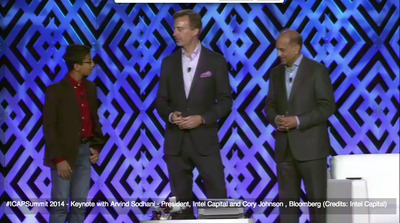 He also presented at the Intel Capital Summit 2014 last week, with Intel Capital’s president Arvind Sodhani and Bloomberg’s Cory Johnson.